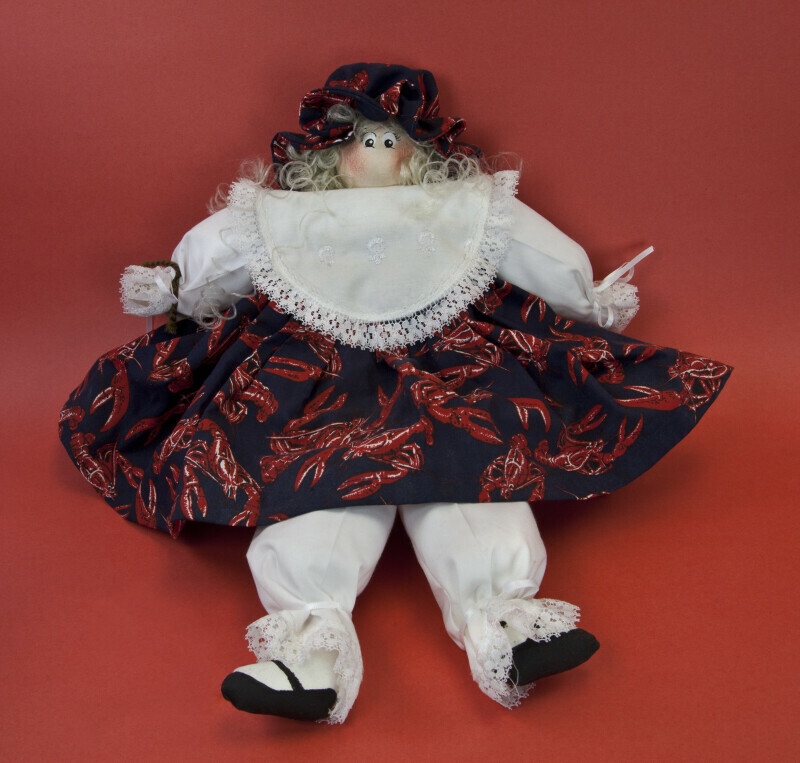 Female doll from Louisiana. Her body is piece of wood 1x4 inches, and her head is wood bead. The facial features are stenciled on wood. The arms and legs are formed by stuffed cloth. She is wearing a print dress with a matching cap. She has a white cotton blouse with lace on the collar and cuff. Her pantaloons are also white with lace. She has synthetic hair that is long and curly. Tag: “Handcrafted especially for you by Aunt Bessie -- Miss Maggie Dolls Eunice, LA 70535." The figure stands 14 inches (36 cm) tall. WARNING: You are about to download a 22.5 MB TIFF!